All children need quality education and every child has the potential and skills to make meaningful changes in their community, country and continent for a better world. Rising Hope Foundation for Change (RHFC) is proud to introduce a new initiative to achieve this, Education For All (EFA). 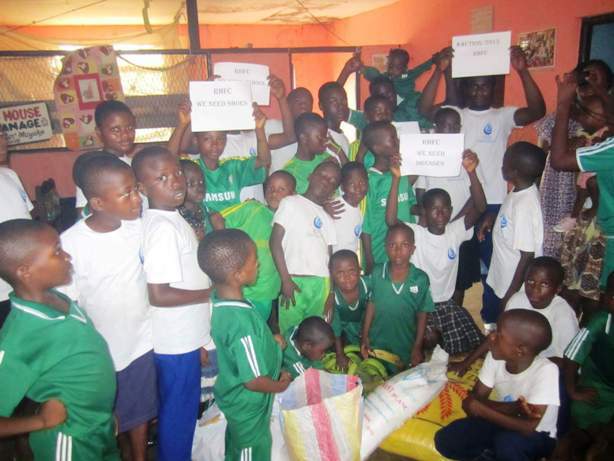 EFA aims to ensure that every least privileged child in Cameroon has all that they need to go to school. EFA will raise awareness about the importance of education as a fundamental human right, like the right to have proper food and a roof over your head, which RHFC also supports. The concept of this project is based on Article 26 of the Universal Declaration of Human Rights, which states that, “everyone has the right to education“. Education is a gateway to human development, which in turn transforms the community, nation, continent and the world. It will open doors, expand opportunities and freedoms. It will foster peace, democracy and economic growth as well as improving health and reducing poverty and supports The Global Goals For Sustainable Development.